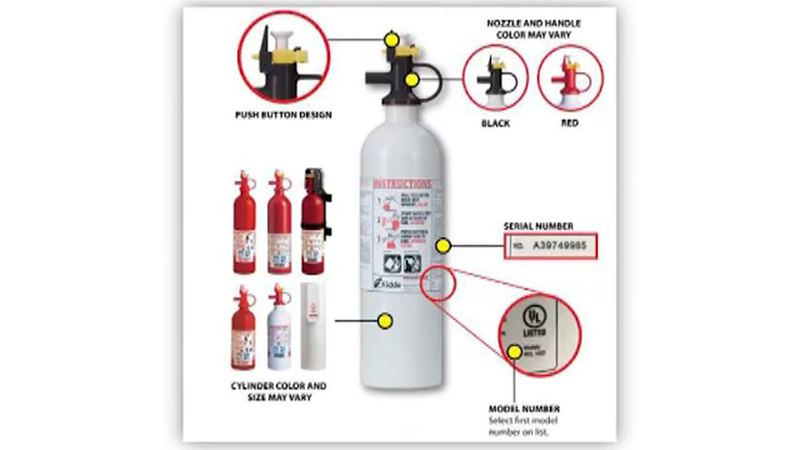 Kidde recalled 37.8 million fire extinguishers that may not work because of a faulty handle, the U.S. Consumer Product Safety Commission said Thursday. One person has died because of this risk, officials said. Kidde said the extinguishers, which have plastic handles, can get clogged and may not work in an emergency. There's also concern over the nozzle detaching with so much force that it could injure someone.